Enjoy a warm and gourmet break and let yourself be surprised by this unique and out of the ordinary cruise that combines the charms of the Saint-Martin Canal, heart of the Parisians’ Paris, and the Seine of the historic Paris. Board next to the famous Hôtel du Nord, a few steps away from the Place de la République, for two hours of commented cruise. Along with the water, discover this canal lined with trees and go past a swinging bridge, two locks and under the mysterious Bastille tunnel. 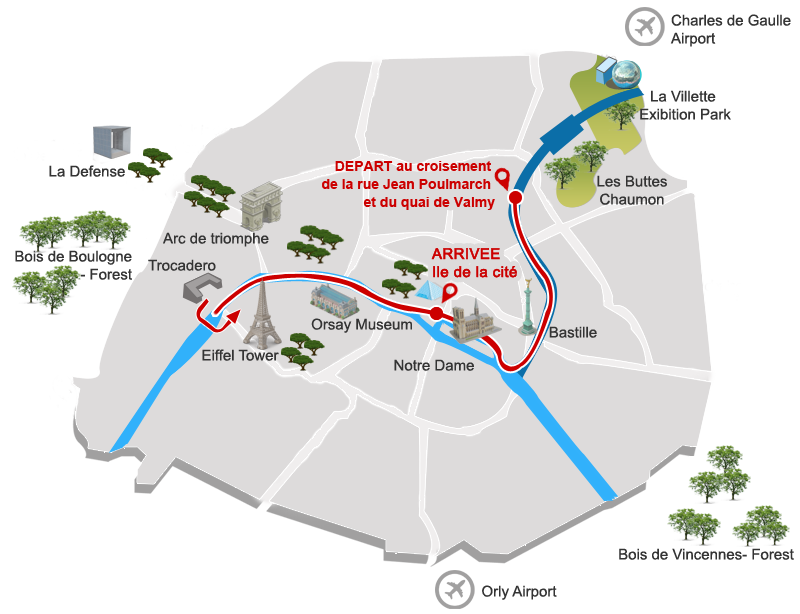 After getting across the charming Arsenal Marina, you will then arrive on the Seine river and take advantage of a magnificent point of view on Notre-Dame Cathedral. This is the heart of the capital city and its famous monuments : the Louvre museum, the Orsay museum, the Assemblée Nationale and of course the Eiffel Tower, that presents itself to you. Quietly, your cruise will lead you to the City Island, at the foot of the Conciergerie and the Sainte Chapelle, where you can continue to discover the city of light. - delicious fruit jams “Les petites Parisiennes confiturières”, whose recipes are passed down from generation to generation and are made respecting a traditional craft, inherited from the first jam-makers who were also boatwomen. - old-fashioned chocolate spreads, traditionally crafted by the “Comptoir de Mathilde”, quality products and original recipes : milk chocolate with speculoos, with salted butter fudge, with nougatine and many other flavours. YOUR ARE A GROUPS OF MORE THAN 20 pers ? Get benefit of our Special Groups Offer !